Maui is known worldwide for a lot of things: the beauty, atmosphere, history, and its large supply of pristine beaches, waterfalls, tours, landmarks, snorkeling, and gardens – just to name a few. It’s a wonderful place for a Hawaiian vacation. There aren’t a whole lot of places in the world you can go and experience all you can on the small island of Maui. From picture-perfect beaches, volcanic landscapes, and tropical forests and gardens, Maui just might be the closest thing to paradise we’ve ever seen. The island’s roads run along the edge of the coastline in a large sideways figure “8” shape, which makes seeing everything Maui has to offer pretty simple. Many people say Maui no ka oi which means Maui is the best – and for good reason. Whether you’re looking for the best Maui beach, a great bed and breakfast, or even a bamboo forest hike, it’s all right in Maui. And because I want your Maui vacation planning to be simple – from planning to packing to toes in the sand bliss- I’ve put together this handy travel guide so your Maui adventure is as perfect! Plan and book your hotel right here in our Maui Travel Guide. Maui’s warm tropical climate is fairly consistent year round with daytime highs from 75-85°F during the summer and winter, respectively. At the many coastal resorts that dot the island at sea level, temperatures rarely dip below 60°F during the coldest of winter. The weather on Maui is typically great for visitors year round. The only time Maui’s weather is unpleasant is if a winter storm blankets the island with clouds and rain, but those are infrequent and shouldn’t be too much of a concern. 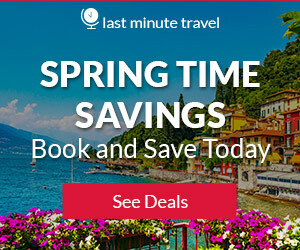 The best deals on accommodations is during spring and fall. These are going to be the cheapest months to visit the island because demand is down. So the island is less crowded as well, which is another benefit of visiting during these months. If you plan to come during the holidays, especially Christmas, you can typically expect large crowds of people – and prices will reflect the increased demand. If you visit during the winter months, you have a chance to see the humpback whales. Each January – March they migrate down from Alaskan waters to mate, calve, and birth their young. Maui has the best opportunities for whale watching in the entire state. To find excellent views of Maui’s beautiful coastline, all you need to do is drive. The Road to Hana is a scenic highway that twists through the lush rain forest and past the cascading waterfalls that line the island’s eastern shore. Most people start their trip in Kahului with the intention of motoring 55 miles to Hana. The trip isn’t always easy: The route often surprises unfamiliar drivers with hairpin turns. But those who decide to step on the gas aren’t sorry they did. One of Maui’s most popular strips of coastline, Kaanapali Beach stretches across 3 miles of the island’s northwest coast, offering plenty of space to surf and sunbathe. Be careful while swimming, however, as the currents can be deceptively strong. 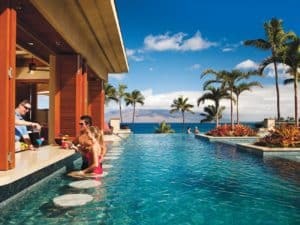 But coveted sand is just one of this beach’s many highlights: Kaanapali was Hawaii’s first planned resort area, and today it features several notable hotels and restaurants, two championship golf courses and the lively Whalers Village open-air shopping center. Haleakala National Park is home to the world’s largest dormant volcano. The entire park occupies 30,000 acres of land in Upcountry Maui. Haleakala’s summit stands more than 10,000 feet above sea level. Plan your visit to the summit in the morning to see the sunrise (keep in mind you’ll have to make reservations online in advance and you’ll be required to pay a small fee). A fairly winding road will lead you to the top. No matter when you visit, be sure to wear warm layers. The air up top can be thin and chilly. Though not nearly as expansive as Wailea or Kaanapali, crescent-shaped Napili Beach is particularly popular with families. Napili’s waters are much calmer than those at other Maui beaches, so kids and adults alike can take to the seas for swimming, paddleboarding and boogie-boarding. Plus, Napili Beach provides a quiet, laid-back atmosphere that sunbathers love. Make sure you take snorkel gear. Napili’s waves conceal a wide array of fish, not to mention a sizable sea turtle population. This shoreline caters to the sun-seeking guests of several nearby resorts. Wailea feels much less rugged than some of Maui’s other beaches: The tawny-colored sand is lined by palm trees and a paved walkway connecting the shoreline to the area’s hotels, shops and restaurants. At this beach you have access to water sports equipment rentals. And because the waters here are relatively calm, Wailea Beach is great for those looking to swim or snorkel. In2Scuba Diving Maui Dive Co.
In2Scuba Diving Maui Lahaina, Kaanapali. Specializing in Introductory Scuba Dive Courses For beginners. Scuba Diving in Kaanapali, Lahaina, Maui. Small Groups, VERY Personalized Service! Scuba Lessons for first time Non-Certified Divers. Guided Dive Tours For Certified Divers. PADI Open Water Certifications through Divemaster. Telephone: 808-264-8198 Web: In2Scuba Diving Maui Dive Co. While you are with them, you will enjoy our warm hospitality and beauty of place, and the comforts of everything you’ve come to expect from a Travaasa experience: their healing and pampering spa, authentic Hawaiian pursuits (lei making, ‘ukulele, snorkeling, throw net fishing, enjoying local gardens and guides who will share their knowledge of ecology and culture with you), a pool with an ocean view unlike any other, and outdoor yoga. For more information, pricing, or to reserve your room visit Travaasa Hana. 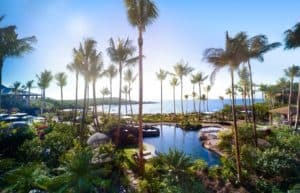 Set beachfront atop picturesque Kapalua Bay, this 24 acre Maui resort is to experience Hawaiian lifestyle at its finest. At Montage Kapalua Bay, you will feel embraced by genuine island hospitality and authentic culture. 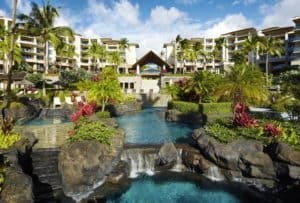 At every turn, the spirit of Hawaii merges with your own to create pono — a true sense of balance and harmony — as you relax and enjoy all‐suite accommodations, inspired cuisine, championship golf, watersports, and an award winning Hawaii inspired spa. For more information, pricing, or to reserve your room visit Montage Kapalua Bay. This oceanfront property features an outdoor pool and sandy beach children’s pool. Villas include private elevators and bi-level Hawaiian-style patios with views. A fully-equipped, state-of-the-art kitchen with custom Italian cabinetry and granite countertops is featured in each elegant and spacious villas at Ho’olei at Grand Wailea. A separate sitting area with vaulted ceilings and flat-screen TVs is provided. The bathrooms offer dual vanities, a deep bathtub, separate shower and private lavatory. A washing machine and dryer are also furnished. For more information, pricing, or to reserve your room visit Ho’olei at Grand Wailea. The Paia Inn offers access to 3 miles of white sand beach, relaxing amenities and convenient access to a wide range of activities. Free WiFi, an iPod docking station and a 42-inch flat-screen TV with Apple TV are featured in each guest room at the Paia Inn. Beach towels, chairs, boogie boards and snorkel gear are provided. A concierge can arrange whale watching cruises, surf lessons, zip lining tours, luaus, massages and other activities. A breakfast cafe is located on site. For more information, pricing, or to reserve your room visit the Paia Inn. Located ocean-side on Lāna‘i, Four Seasons Resort Lana’i features views of the Pacific Ocean and lush gardens. Featuring two swimming pools with views of the ocean, a spa and in-room dining is also featured. Each elegant suite provides a private terrace, bathrobes and tea and coffee-making facilities at the Four Seasons Resort Lana’i at Manele Bay. Styled in elegant dark wood furnishings, each cream colored room features bright white colored linens. Select rooms feature panoramic views of the ocean. For more information, pricing, or to reserve your room visit the Four Seasons Resort Lanai. Very impressive article, Leahrae! Thanks for making it so easy to plan a trip to Maui. You have done an amazing job of centralizing all the best points about Maui in one article. The pictures on this website are stunning. Do you think Maui is the most popular destination point in Hawaii? I have a family of 4. Would Maui be the best choice if you’re planning to visit Hawaii for a family this size? Yes, Maui is probably the number one island visited. With a family of four, I would really recommend Kauai instead as you can make your budge go a little bit farther. Visit my Kauai Travel Guide here, and if you have any questions, please don’t hesitate to ask. I am glad you enjoyed my Maui Travel Guide. Yes, Kauai will be a bit easier on the pocket book for sure and your vacation money will last a little more than in Maui. Both places are wonderful for sure. Thanks for visiting beach travel destinations. I do have a couple questions. If I decide to head to Maui during their off season, will the weather still be as beautiful? Also will everything still be open? I know in some destinations, the off seasons also means that some businesses take time off. I would hate to go during the off season and not be able to enjoy it all. Thanks for sharing such beautiful place. It is a timely article for us. My wife and I are going to celebrate our 30 years marriage. We plan to go to Hawaii. But we would like to spend two weeks and visit as many scenarios as possible there. How many days should we stay at Maui? We would definitely like to spend one day for snorkeling. Besides this, do you have anything special suggesting for us? Do you have best suggestions for the two week in Hawaii? Thank you very much for your kind help in advance. 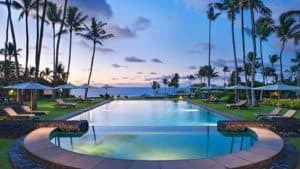 Every single part of this article really grabs me from pictures of the The Road To Hana, Kaanapali Beach,Haleakala National Park down to the Four Seasons Resort Lanai. I have my bags packed already. Thank you for the great information! I have to say this is one of the best articles I have had a chance to comment on EVER. I really enjoyed the structure of the article and the information provided as well. 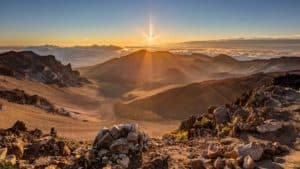 I have not been to Maui, however after reading this article not only do I want to visit as soon as possible, but I know I will be well prepared with all the information you have provided. 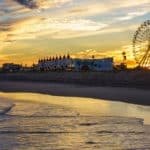 Information on everything from the night-life, restaurants, attractions, and hotels, allows anyone to get a head start before setting out on a trip. I will definitely be back to your site as a travel resource, keep up the great work! Thank you so much Jefrey! That means I am doing a decent job with my site then, I appreciate that. I am glad you enjoyed your visit to my Maui Travel Guide. Let me know if you need any assistance when planning your Maui vacation. Your blog always make me feel like travelling the very next second. I must say, the video is really amazing. Maui Hawaii looks like a paradise. I’ll certainly love to visit Maui and see the kaanapali beach. I read a while ago that there are volcanoes in Maui. Is this true? Are this volcanoes worth a visit? 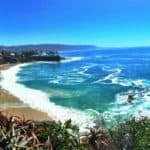 Thanks for sharing maui travel guide. Great I hope you get to vacation to Maui soon! It is a wonderful place! Honestly, this place sounds like Paradise. Those temperatures are so attractive for us who live in some cold temperatures. I am not much of a swimmer but a lot of activities seem to center around the beach, and the sea which would be a great getaway for myself and family. Are there any cultural activities that would allow us to meet and know more about the occupants and their lifestyle? Ok, there are quite a few cultural things you can do in Maui. For a few visit the Kahanu Garden; this National Tropical Botanical Garden is like walking around ancient Hawaii. The 464-acre garden is home to Pi‘ilanihale—a towering, 3-acre religious structure that is the largest in all of Polynesia. Go to Malama Honokowai Valley; deep in the valley above Ka‘anapali is a village site frozen in time. Once abandoned by ancient Hawaiians when the stream water was diverted for sugar, volunteer groups are slowly revitalizing this traditional link to the past. And a must is the Old Lahaina Luau. This is one of the most popular things to do for first-time Maui visitors; those who have taken in the show highly recommend devoting an evening to this luau in particular for a fun intro to Hawaiian culture. Please let me know if you have any other questions. Wow, what an extensive travel guide indeed! I thoroughly appreciate the research you must have done to gather and compile so much helpful information. I really enjoyed the content and in the manner that you presented. After reading your guide and watching the amazing video I am running out of words and indeed its really a paradise. I am adding Maui to my travel list. You are covering all the aspects in your guide which is amazing and you left no stone up-turned in explaining all the details about Maui. Thank you Paul and I am glad you enjoyed my Maui Travel Guide! You will enjoy Maui as well. Thanks for reading my Maui Travel Guide! Hello there laehrae, you have done another excellent job with this post on Maui. Most of the interesting place’s to visit in Maui like the waterfalls, beaches, volcanic landscapes and many other interesting places make me want to pack my bags right now and head to Maui! Kaanapali Beach still remains the best place I plan to head to first. Thank you for your kind words and for taking the time to leave me some comments. You will enjoy your trip to Maui I am sure! Have a blast at Kaanapali Beach! Maui is nothing short of beautiful. From the first time I saw the movie; ‘George of the Jungle’, and heard Lyle Vandergroot say to Ursula Stanhope, ” I was on a bridge like this in Maui, see really steady”, I have always known that I would visit Maui someday, mainly because I seek that ‘ steady bridge’ that Lyle saw, I guess I would like to try the Kayaking first of all and I cannot wait for a vacation to Maui! You have provided me with everything I need to know! Oh kayaking out in the ocean is something that can’t be beat! I love to just have that peaceful time out on the water. You will have a great experience in Maui. Thanks for stopping by! I do agree that it is paradise 🙂 There are usually 2 to 3 attacks around Hawaii per year, but almost always non-fatal. With the millions of people in the ocean around Maui every year, your chances of being attacked are slim to none. There has never been a reported attack of a scuba diver in Hawaiian waters. So I think you are pretty save in the water 🙂 Please let me know if you have any other questions. Absolutely gorgeous! I can’t wait to go check some of these places out! Do you have any ideas for activities to do with little ones while in Maui? We have four kids ranging in age from 3-years-old to 15-years-old. I’d like to do a Mommy-and-Me outing with each child while we are there. Do you have any suggestions? Oh there is plenty for each age group. 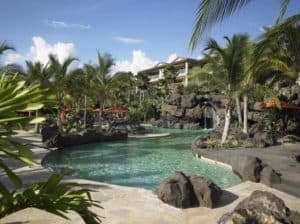 Here are my suggestions: the Molokini Snorkeling Tour, Maui Ocean Center, Atlantis Submarine, Old Lahaina Luau, Surf Lessons, Maui Escape Rooms, Hawaii Mermaid Adventures, Maui Treasure Hunt, Tropical Express Tour, and UFO Parasail. These are all some great things for kids of varying ages to do. Please let me know if you have any other questions. Maui looks great!I personally love visiting islands, especially the ones that are further ashore. Think they always have some special vibes. I like the idea of Maui Surfer girls.Kudos to those girls! That’s something I would definitely consider spending some of my time on. You are welcome Marija and thanks for visiting my Maui Travel guide. I am glad you enjoyed! WOW is all I can say, that drone video just took me away for a moment. This looks like a dream vacation, some day I will travel and this place is def. on my list. 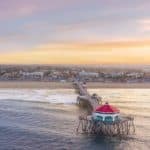 Thank you for providing such a great article on this place. I love how you give an idea of the cost for eating out. Glad you enjoyed Amanda. Yes, the drone video is like a digital visit to Maui 🙂 Kind of has you packing your bags and ready to go LOL! Wow!. 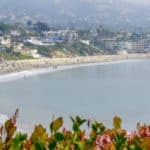 I have been looking for places specially beaches for me to take my fiancee after wedding on our honey moon. This place is incredible. My fiancee would surely love this! the view. the place. its awesome. Thanks for this wonderful review! You are welcome, and I agree Randy! I think she will love it. I don’t know anybody that doesn’t love Maui 🙂 Thanks for stopping by!